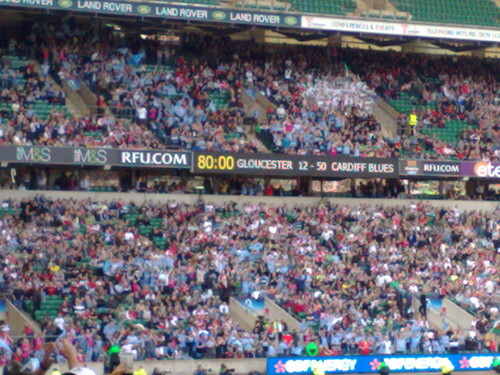 Gloucester concede a few points to Cardiff in an unimportant EDF cup final, originally uploaded by benaston. Well, umm, it wasn’t a great match, unless you’re a Blues fan. Gloucester were annihilated. but at least I enjoyed the match on a free seat.